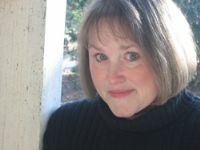 Lorraine Thompson currently is the Head of the Drama Department at Athens Academy in Athens, Georgia. Her bachelor's degree in Education is from Auburn University of Montgomery and her Masters in Fine Arts in Theatre is from the University of Georgia. Ms. Thompson enjoys spending some of her summer months working as an actress. Her professional theatre credits include ART Station, The Summer 3 Theatre Company, Lees McRae Summer Theatre, The Merry-Go-Round Playhouse, The Highlands Playhouse and The Southern Appalachian Repertory Theatre. Her publications include Arlecchino and the City of Love and Stories Under the Big Top, Pioneer Drama; Doctor Sooney's Medicine, Heuer Publishing; The Romancers, Eldridge Publishing; and Storyville, I.E. Clark Publishers.